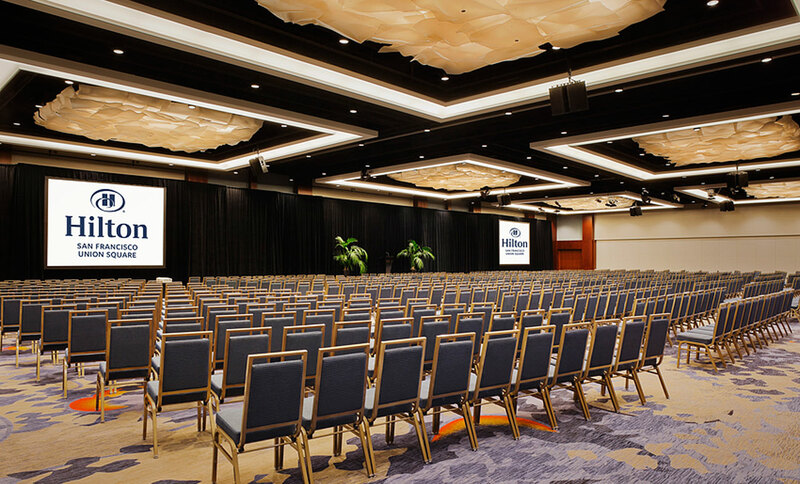 ForrestPerkins completed a successful renovation of the Continental Ballroom, prefunction and meeting rooms of the Hilton San Francisco. 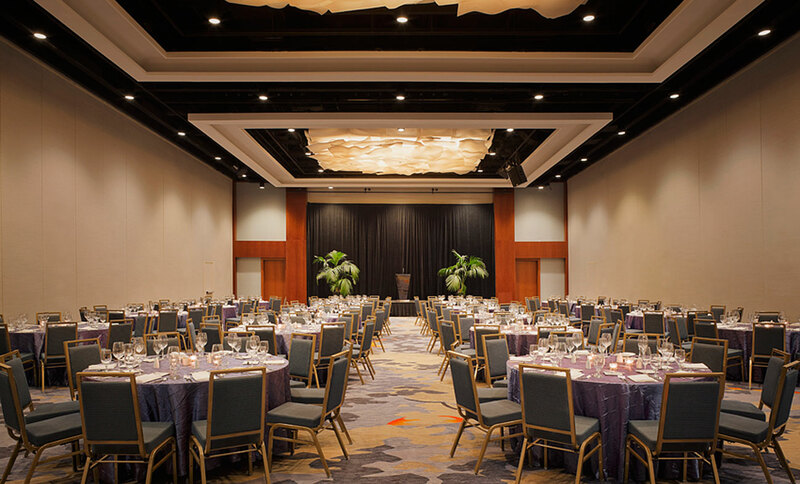 Working with relatively low ceilings, the design team led by Cliff Tuttle created cloud-like chandeliers and visually “raised” the ceiling by painting it black and creating a lighted band around the large, shallow chandeliers. 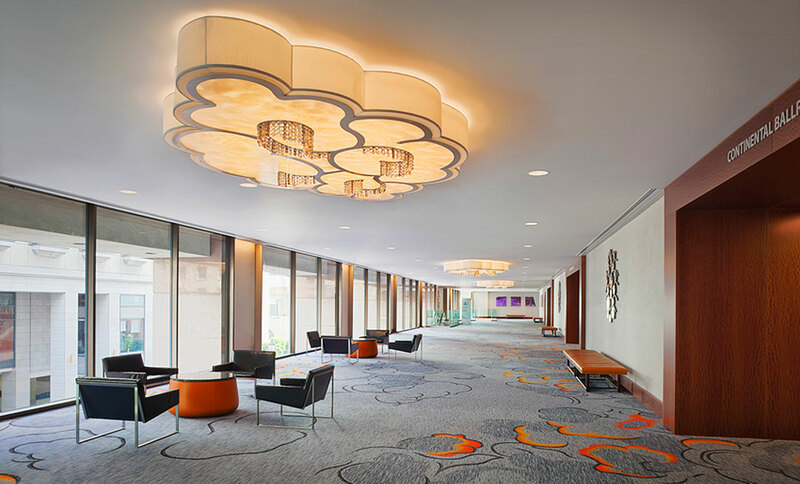 The prefunction chandeliers and carpets reference Chinese cloud paintings, interpreted in a modern way.